Sweet potatoes are one source of solid carbohydrates by beneficial nutrients. However, the nutrients in sweet potatoes are not only in the tubers. Sweet potato leaves are also rich in vitamins, minerals and antioxidants that are believed to ward off various diseases. You can get the benefits of sweet potato leaves by processing them into a delicious vegetable dish. But before that, consider first the various benefits of sweet potato leaves that turned out good for the body! Like most types of vegetables, sweet potato leaves also contain vitamins and fiber. However, it turns out this leaf also contains proteins, carbohydrates, various minerals, even a small amount of good fats. Minerals contained in sweet potato leaves are very diverse. By consuming it, you can obtain calcium intake, iron, magnesium, phosphorus, potassium, and sodium. Various vitamins were not absent from this pointed pointed leaf. You can find vitamin A, B complex, C, and vitamin K in large quantities in it. 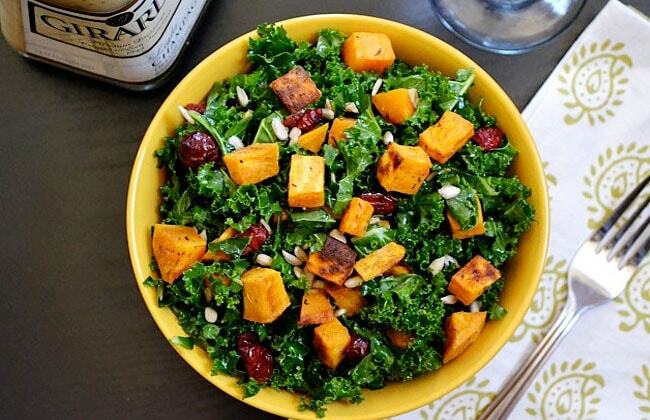 Sweet potato leaves are rich in antioxidant compounds called polyphenols. Besides known as free radical antidote, polyphenols derived from chlorogenic acid in sweet potato leaves are believed to help control blood glucose levels in general. A study showed that the polyphenol compounds can trigger an increase in insulin secretion that regulates blood sugar levels. However, these claims still require further research because they have only been tested in animals. But, it could not hurt to start trying to consume sweet potato leaves to obtain the benefits of antioxidants in it. The daily vitamin K requirement is 90 micrograms for women and 120 micrograms for men. By eating 3 tablespoons of 30 grams of boiled sweet potato leaves, you can have 90 micrograms of vitamin K.
The main vitamin K function is part of the blood clotting process that helps bleeding to stop when you are injured. But in addition, vitamin K is also beneficial for bone health, heart, and hair and plays an important role in maintaining the cognitive abilities of the brain. Until now, these tuber leaves are not commonly consumed. In fact, sweet potato leaves contain vitamin A, B complex, as well as vitamin C.
In addition to good eye health, vitamin A has a number of benefits similar to vitamin C, which is to maintain skin health, endurance, and digestion. Plus, your metabolism can run well because of the benefits of vitamin B complex that is also contained in the leaves of sweet potato. Seeing the various benefits of vitamins that you may get, of course you can be more confident to consume these tuber leaves. But keep eating in reasonable amounts. A study was conducted to find out whether there are antimicrobial components in sweet potato leaves. The result, sweet potato extract can counteract the growth of a number of infectious microbial infections such as Salmonella typhi, Staphylococcus aureus, Klebsiella pneumonia, and Pseudomonas aeroginosa. This leaf extract is also believed to counteract the growth of Aspergillus niger, which is one type of fungus that causes decay of fruits and vegetables, which can also trigger some cases of pneumonia. With these findings, the benefits of sweet potato leaves potentially continue to increase to the wider field in addition to complement the body's nutritional intake. You can eat sweet potato leaves as you consume green vegetables in general. The leaves of these tubers can be processed by steaming, boiling, or even fried to a crisp. Although it has many benefits, excessive consumption of sweet potato leaves is also not recommended. The reason is, sweet potato leaves contain oxalic acid in high enough amount. Oxalic acid is an organic component commonly found in whole grains, nuts, and green vegetables such as spinach and kale. In addition to food, the human body also naturally produces this organic component. In normal circumstances, oxalic acid will be removed from the body through the urine. However, oxalic acid can also accumulate in the urinary tract and become one of the causes of kidney stone disease. But do not worry. The formation of oxalic acid kidney stones is usually triggered indiscriminate eating patterns that have been chronic. As long as you consume this leaf in a reasonable amount, you can still get the benefits of sweet potato leaves without worrying about the side effects. Previous Wrong diet triggers early menopause?